We would like to draw your attention to the third of Agromisa Lecture Series to be held on November 29th, 20:00 hrs in Wageningen. 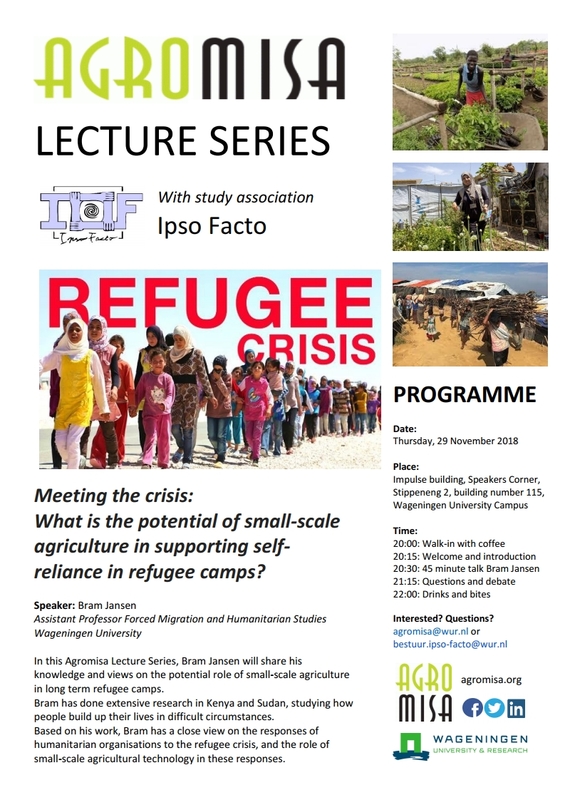 The lecture series are organised by Agromisa (www.agromisa.org) and for this specific evening in cooperation with the study association Ipso Facto. For detailed information please read the flyer alongside. This entry was posted in Event and tagged lecture,refugee camps,self-reliance,small-scale agriculture.